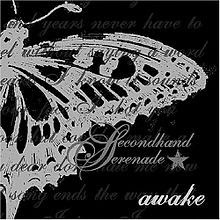 There's a very pretty song called Vulnerable by a wonderful band called Secondhand Serenade, and I've been listening to it a lot over the past week. I really love when the whole musicality of a song fits perfectly with its meaning. There is honestly nothing more beautiful and utterly flawless than when everything is wonderfully aligned. And this song is exactly that. Vulnerability is something that's in some ways really lovely, but personally it's one of the worst feelings. When you feel like you could be pulled apart at any moment or feel completely neglected or attacked, sometimes it feels like the end of the world, and it's horrible. But, sometimes I think it's important to feel vulnerable, and allow yourself to feel and embrace everything around you. In all honesty, the idea of doing that usually terrifies me, as I'm someone who likes to be very much in control of their feelings and happenings. I'm kind of trying to feel more though, and to allow myself to be a little bit vulnerable at times without resenting it entirely. It's a difficult thing to try to be okay with, but sometimes when I listen to this song I think of how great it might work out (just sometimes, but still). Mostly, this song's just been making me think about all the possibilities of stepping out of my comfort zone; it's something I hate to do, but ultimately I do actually do every single day. And so I might try to start stepping a little further out.